The cap on Section 179 has gone up again for 2018, and your business may now deduct the full price of qualifying equipment, up to $1,000,000, when that equipment or software is financed from the company's gross income during a tax year. The raise (from $500,000 in 2016) is good news for businesses that were anxiously waiting to see if Congress was going to raise the deduction limit. This deduction can be used as long as the equipment is purchased and put to use between January 1 and December 31 of 2018. Now that you are able to write off the full price, you can get much more for your money and help make the most of your investment dollars. 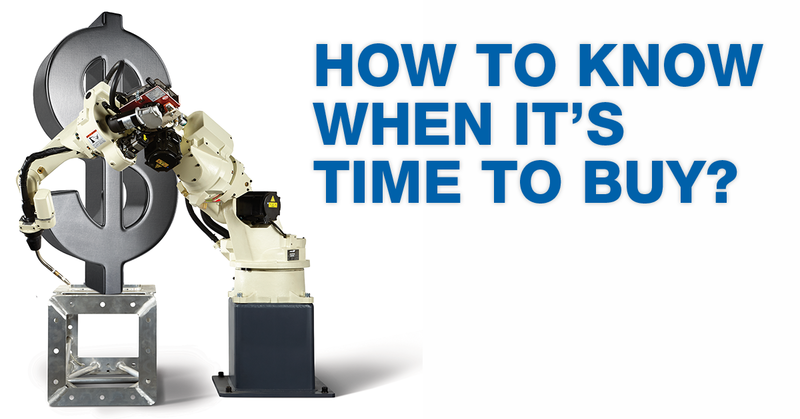 Why should you consider a 7-axis robot for your welding application? Are you having problems with weld access, torch position, interference or floor space issues? 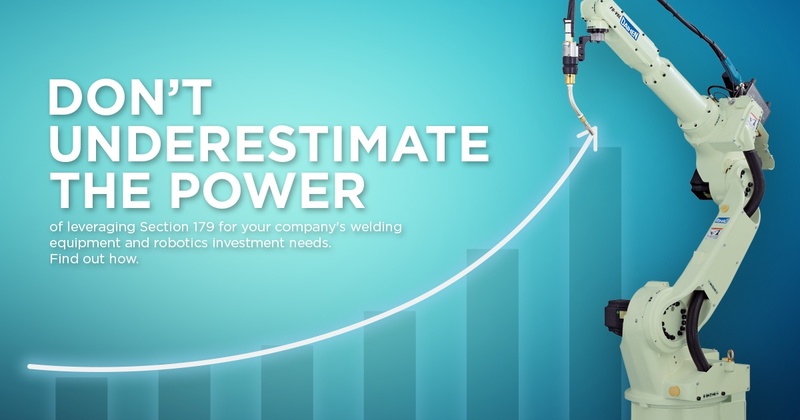 If you are, our 7-axis robot can provide you with superior weld quality and ease of use that outstrips the competition. But what advantages does it provide over the more common 6-axis welding robot? Here are some of the best benefits our customers have noticed. When you're running a production facility, it can be hard to know when the right time is to add robotic welding to your assembly line. How do you know when it's time to make the switch? How can you justify the cost to other departments or company executives? Here's some information to help get you started in the process.